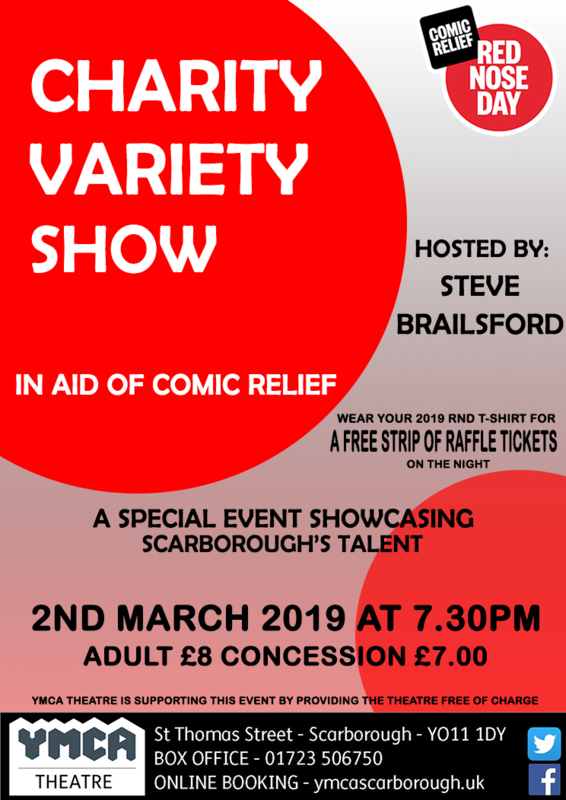 Charity Variety Show in aid of Comic Relief 2019. Showcasing Scarborough's finest talent, compared by Steve Brailsford. Wear your 2019 Comic Relief T-Shirt on the night and get a free strip of raffle tickets!